Nowadays, everyone is so busy that often receptionists and personal assistants are instructed to block any calls, that may be perceived as a waste of time to your client, so no wonder it is hard to get through. Alternatively, introduction letters, with attached business cards, can easily be filed away (in the wastepaper basket) and sadly not even reach your potential client's hands. All that effort with no result is often very frustrating and quite demotivating. However, marketers' posses the ability to think outside of the square, so this skill is an advantage if utilised at this very early stage of the introductory process. The important question is how do you get through to your potential client and then somehow stand out from the rest? This is where the clever use of promotional products can greatly improve the chances of getting through to potential clients. The answer can be as simple as just sending a clever promotional product printed with you details (instead of the usual business card and letter) and have the novelty factor work in your favour. Curiosity is a strong human trait so your client is bound to be interested in finding out more once they see the trouble you have gone through and how creative you can be. There are so many products that are be suitable for this purpose but if possible go one step further and try and link the product with your company. However, there are few generic products that can help you achieve that cut-through in any industry. This pen is great as a business card replacement especially for Real Estate Agents and Politicians as there is room to include a photo of your staff member. 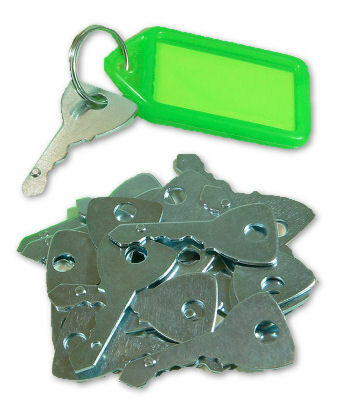 You could mail the keyrings out or give them out as a PR stunt on the streets of Sydney. When sealed they actually float and so you could be very unique in the way you distribute them whether it is floating in your guests glass at the Product Launch event or in a vase on the table. This product is something that will definitely get noticed and talked about. Personalise your message even more by providing us with a merged Word document with individual names. We will slip your printed message inside the capsule and then seal it up with the cork. You can also have your logo branded onto the outside. This is a great product for Public Relations Companies that want to distribute their Media Releases in a unique way. Print the URL to your Media Release on the message in the bottle as a way to drive traffic to your site and create interest around your campaign. Banner Pens work as a great replacement to traditional brochures. The Banner Pen is a pen that contains a paper banner coiled around the inside of the barrel that can be used as a brochure. The banner is 175mm x 68mm and can be printed in CMYK 4-colour on both sides with your product information. Therefore your product is informative, practical as well as being a talking point in the office. Any product that unusual is always a talking point. Many people don't know we can brand water, beer and alcohol and these products are ones that will definitely get your client talking or excited about whatever it is you are promoting. Is the purpose of your campaign to try and get a meeting with the client. Instead of trying a direct approach which may intimidate the client why not invite them in a more relaxed but personal fashion. You could send a Coffee Mug or Tea Promo Card with the message "Let's meet over a Cuppa". Tea leaves are a natural source of Theanine, which has been proven to help us feel relaxed. With JEM Promotional Products you can be confident you have made the right choice. So relax...we'll do the rest." Going further with the Coffee theme you could create packs of a coffee mug and stirrer or coffee sachet etc. 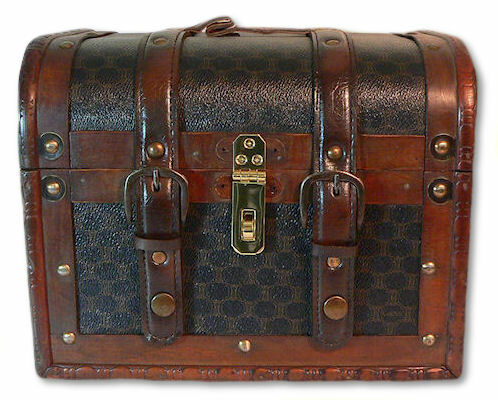 Treasure chests and keys are an oldie but a favourite. Send them out to all your clents and invite them to your stand at the expo and test their luck in opening the Treasure Chest. If their key fits they win a prize or discount depending on what you have arranged. There are lot of promotional products that come in pairs like Thongs and these products are a great way to generate interest about an event and encourage attendance. What you do is print the event details on the heel of one thong and send that to the client. Your client is going to be instantly intrigued by the fact that they have only received one thong. On the thong or on an accompanying invitation write a message along the lines of "Walk on in to our stand at THE EXPO and you will receive the other thong to make up the pair as well as a demonstration of our new product range". The suggested products above are just some ideas that show how the right promotional product can be utilised to effectively get you through to your potential clients. Ultimately, it is about finding the right product that not only suits and creates interest in your client but also highlights you're marketing idea appropriately and reinforces the campaign's focus. At JEM Promotional Products our sales consultants are all either from marketing, advertising or graphic design backgrounds so therefore are able to understand how best to utilise promotional products in the most effective way to get your message across. Our aim is to always assist our clients in creating products that will make their brand or services stand out from the rest in the best possible way.